If you are over 16, male, fit and fancy doing something different then come and be a Seven Champion. 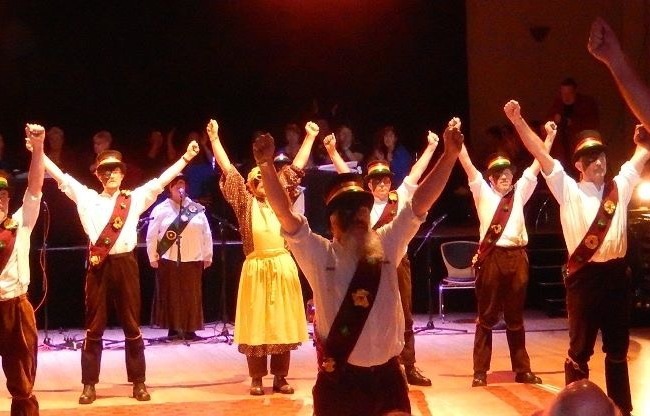 We practice on Thursday nights from 8pm - 10pm at The Scout Hut, Partridge Lane. We dance to live music in the Seven Champions tradition of Molly Dancing. The team perform at local and national events such as festivals. It's fun, good exercise and a great way to meet people. No experience needed.